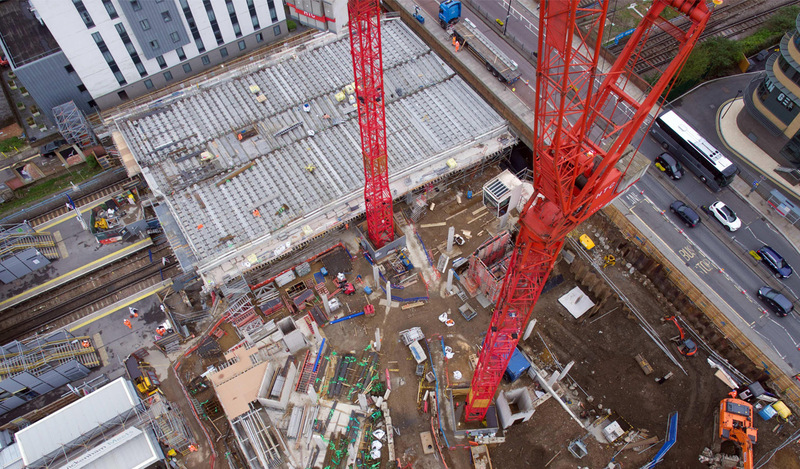 Construction of the new station at Twickenham has passed a major milestone. The main rail lines were closed for 52 hours to allow the installation of the podium deck structural bridge beams. This key part of the design provides the space needed for the improved station facilities. Atop the podium will sit a new station and public plaza to accommodate the high numbers of visitors to Twickenham Stadium. When complete, the highly complex scheme will provide an impressive arrival space along with parking, taxi drop off, bicycle spaces and retail units. New homes will be provided in three blocks built above and beside the new station. In total 115 apartments will be created.